The plots that cost Dr. Goodluck Jonathan the 2015 presidential election were mainly planned, hatched and perfected in Sokoto, the seat of the Caliphate. 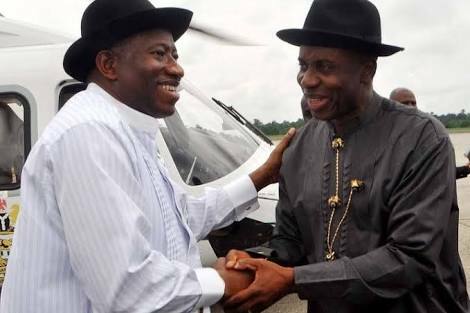 This revelation was made by Minister of Transportation, Rotimi Amaechi, when he paid a courtesy visit on Governor Aminu Tambuwal, at the Government House. He said Nigeria would have been worse off economically if the Peoples Democratic Party (PDP) had won the presidential election. The former governor of Rivers who was in Sokoto to present a keynote address at the 15th National Council on Transportation said: “I have been to Sokoto severally, especially in 2015 during our struggle to change Nigeria. Sokoto played a very critical role in that struggle. The then governor, Aliyu Wamakko and then Speaker of the House of Representatives, Aminu Tambuwal, worked together and closely with us to ensure we achieved our objective. “The two of them moved with us to the APC; they were equally part of the new Peoples Democratic Party (PDP). I recall my conversations with Tambuwal when we moved to APC. I had told him that we had moved and he asked whether I was the only one. I told him that I moved with the governors, but he inquired if his governor, Wamakko, equally moved with us. I told him we will issue a statement concerning his governor. As God will have it, the governor himself issued a statement declaring that he was solidly in support of the movement to the APC. “This meeting today reminds me of all that struggle and our meetings in Sokoto, especially with Wamakko and Tambuwal to strategise for the 2015 presidential election. I must thank him and other Nigerians for that support because the desired change would not have come if they did not come together to support and work for the APC to ensure the emergence of President Buhari. “The truth of the matter is that as Nigerians, we knew it would have been difficult for Nigeria if PDP had won that presidential election. All of us were scared of what would happen to Nigeria and that was why we decided that the only way to stop what will happen is to ensure that PDP did not win and to God’s glory and our prayers, APC won. He commended the state government for hosting the 15th National Council on Transportation, saying, the conference will provide avenue to participants to brainstorm on issues and proffer solutions. He also commended the Sokoto government for completing Sultan Abubakar International Airport and assured that the ministry would complement Tambuwal’s efforts to enhance economic activities in the state noting that transportation served as bedrock of facilitation economy. “We are in Sokoto to discuss transport policy, the modality in transportation and how to take transportation to the next level. I know that what will interest you is what will happen to your state in terms of railway. The railway line connecting Kebbi, Zamfara and Sokoto is in the pipeline. “Once we conclude the technical aspect, we will take it to the president for approval. Once we conclude works on these states, the 36 states mandate, which the president gave us, would have been concluded. I was pleased to see that the airport has been completed. “There are only three of us that were Speakers that governed a state. It is you (Tambuwal), the governor of Plateau State and myself. We must ensure that we did not disappoint the people. The reason is that the experience we gathered in the legislature is enough to govern a state. I am sure that you are going the way they expect you to go and I wish you the very best,” he said. Tambuwal, who expressed his government’s commitment to cooperate with Federal Government to ensure success of projects and programmes geared toward uplifting people lives to better, urged transport ministry to install more scanners at the Sultan Abubakar International Airport Sokoto to ensure increase safety and screenings.